Lily Keber’s upcoming film, “Buckjumping,” will take audiences into the New Orleans neighborhoods where second-line parades bring communities together in a way that happens nowhere else. 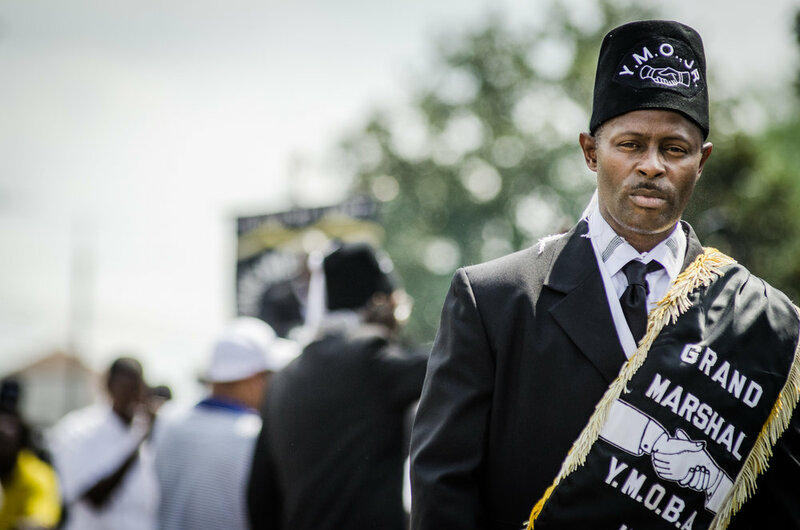 Lily Keber’s upcoming, feature-length documentary, “Buckjumping,” will take filmgoers deep into more than a half dozen New Orleans neighborhoods, where second-line parades boost the spirits and bring communities together in a way that happens nowhere else. The Pigeon Town Steppers, one of New Orleans’ many community-based social aid and pleasure clubs, would define buckjumping differently. They would tell you it’s the dance style associated with the city’s second line parades and that without it, New Orleans would not be New Orleans. Lily Keber, who for three years has worked to finish her feature-length documentary on the subject, says she sees a connection between both definitions. Why? Because these days, just living life can feel like trying to stay on a bucking bronco. Pigeon town Steppers, Easter Sunday 2014. Keber’s film is almost complete, with only a few more shots scheduled before her team begins entering their finished work in film festivals around the country. She sees “Buckjumping” as a film that belongs not only to her, but also to the New Orleanians whose spirits propel the story forward. It’s part of Keber’s approach to what she calls “community media,” a seed planted more than a decade ago when she served an internship with Appalshop, the Oscar-winning media and arts group in Whitesburg, Kentucky, that has documented the lives of Appalachians since 1969. Those principles guided the production of “Buckjumping” as Keber slowly built relationships with clubs in more than a half dozen New Orleans communities. But her commitment to the communities included in the film goes farther than merely taking time to understand their people and values. Making “community media,” in her mind, means she is accountable to the subjects of her film. The commitment extends to the financial realm. Beyoncé licensed some of the “Buckjumping” crew’s footage of the Pigeon Town Steppers for her “Lemonade” and “Formation” videos last year, and Keber quickly passed the money back to the Pigeon Town community. While production on “Buckjumping” is almost over, Keber and her uniquely diverse New Orleans crew have an all-or-nothing Kickstarter campaign running to raise the final $20,000 needed to complete the film. The campaign runs through Wednesday, March 14.